Uzbek President Islam Karimov is dead-set on smashing any stirrings of revolution and protecting the country from both foreign and domestic enemies. In his speech marking the country’s 23rd anniversary of independence, the President drew particular attention to the prevention of violations of Uzbekistan’s sovereignty, the inviolability of state borders and the use of force. 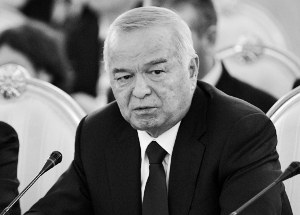 The Uzbek leader urged his people to be vigilant, saying that “the country firmly adheres to the position that resolving sharp disagreements and conflicts can be accomplished solely through political channels and peaceful methods.” “We need strict observance of the basic principles embodied in the UN Charter, adherence to international norms regarding sovereignty and the inviolability of state borders, and rejection of the use of force,” Karimov declared. Uzbekistan occupies a strategically advantageous location in the region but also has tremendous economic potential, thanks to a rapidly growing population. 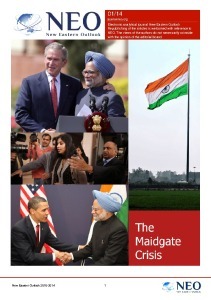 Its sovereignty has been threatened ever since the country achieved independence. A burst of national consciousness was accompanied by a religious awakening. Several religious-based groups and movements took hold in Uzbekistan: Akromiya, an organization named after its founder, Mullah Akrom; Adolat (Justice); Islam lashkarlari (Soldiers of Islam), Tabligh (Society for the spread of the faith ), Tovba (Penance); and Nur (Light). All have been active mainly in the Fergana Valley. The main goal of these differently named but essentially similar groups is the eventual creation of a theocratic Islamic state. At the core of the founding of these Islamic movements was Tahir Yuldashev. Representatives of these various groups quickly joined forces to form so-called Islamic militia units. People convicted of theft and other petty crimes were punished according to the dictates of Sharia law. Often they were publicly beaten with sticks. One of the commanders of the Islamist militias was a former Soviet serviceman having fought in Afghanistan named Juma Namangani. From 1990 to 1992, these groups held meetings, rallies and marches, forcing citizens to abide by Sharia behavioral norms. They were sustained largely by members’ donations and money sent from abroad by relatives, similar organizations and Islamic foundations. At the heart of these religious groups was the idea to create an Islamic state. In late 1991, Adolat conducted a series of mass demonstrations in Namangan. The situation threatened to spiral out of control. Karimov arrived in Namangan and personally met with the protesters. Witnesses tell a story that has already become a legend. Unaccompanied by his security detail, Karimov walked alone into the building where Adolat’s supporters were meeting. He began debating with them and grabbed the microphone from the future leader of the Islamic Movement of Uzbekistan (IMU), Tahir Yuldashev. Authorities managed to establish control over the country and force the Islamists underground. The Islamists, who were members of underground groups such as Hizb-ut-Tahrir, Akromiya and a number of smaller groups, tried their luck a second time in May 2005 by starting an uprising in Andijan. They took advantage of the rather tense socio-economic situation in the region and were able to portray the revolt as a mass protest by ordinary people against the Karimov regime. An identical problem exists today, the difference being that all the extremist organizations have found refuge in Afghanistan. The instability in Iraq cannot be discounted either. 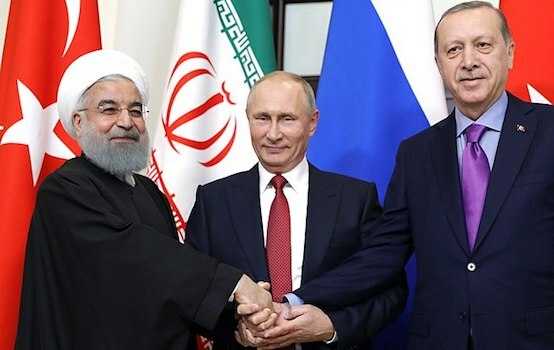 “Despite Uzbekistan’s distance from Iraq, the situation there is worrisome for Islam Karimov, said analyst Adzhar Kurtov, a senior research fellow at the Russian Institute for Strategic Studies. “The fact is that from Iraq, the Islamic State is pushing outward with its concept of Islamic revolution, which is drawing radical Muslims to its lands. It has been successful in recruiting from post-Soviet Central Asian countries. And that has Karimov worried.” He believes that Karimov has ample reason to fear, not just for his own safety but also for that of the country as well. With Uzbekistan’s presidential election scheduled to take place in December of next year, the political situation there has already begun to heat up even before the start of campaign season. Karimov is 74, and because of his age, he may not run for another term as president. From all indications, Uzbekistan will not attempt Operation Successor, especially after the scandal that embroiled the president’s oldest daughter, Gulnara Karimova. The battle for the presidency will most likely include the leaders of the major clans. There are several influential clans, including those from Samarkand (Samarkand-Bukhara), Tashkent, Fergana, Karakalpakstan, Khorezm and Surkash (includes the Surkhandarya and Kashkadarya regions). The clans from Tashkent and Samarkand are in the strongest position by far. Prime Minister Shavkat Mirziyoyev is a leading member of the Samarkand clan, and has been the head of the government since February 2003. The Tashkent clan is represented by First Deputy Prime Minister and Minister of Finance Rustam Azimov, who oversees the finance and economic ministries. As of now, the Tashkent clan’s standing appears weaker than that of the Samarkand clan. But that could change dramatically if the Tashkent faction wins over one of the most powerful men in the country, the head of the National Security Service, Colonel-General Rustam Inoyatov. However, his clan affiliation is not yet clear. According to some, he is aligned with the Tashkent clan. Others say he prefers to position himself as being above clan politics – which, incidentally, has been Karimov’s modus operandi – by alternating between the Tashkent and the Samarkand clans. As for the opposition presidential candidates, all of them have been living abroad, and according to the constitution, they do not have the right to participate in elections. Despite this, they openly declare their readiness to cooperate with the United States and the EU. Viktoria Panfilova is a columnist for Nezavisimaya Gazeta and the online magazine “New Eastern Outlook”.